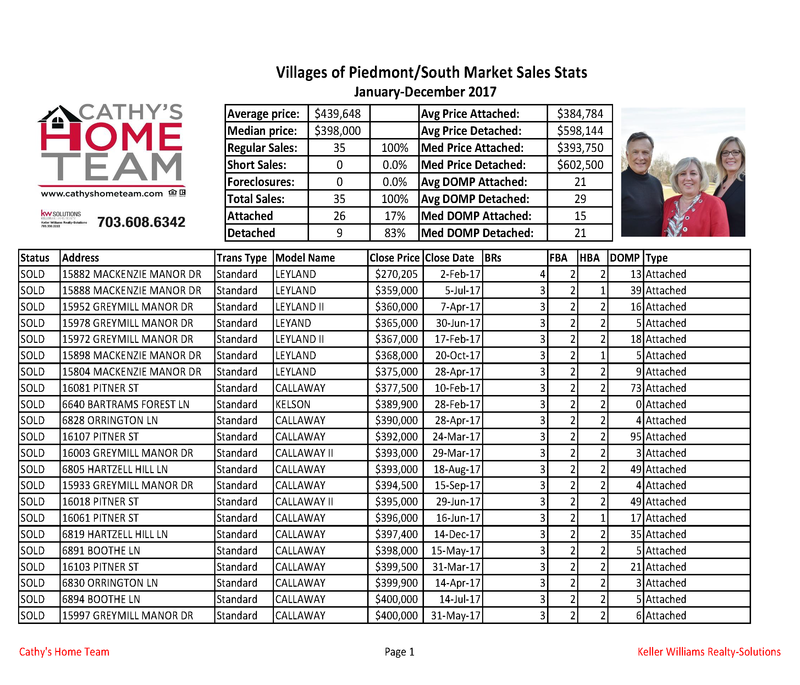 Below are the stats for Villages of Piedmont (South Market) Home re-sales for 2017. Volume of sales was up slightly between 2016 and 2017 — 31 homes in 2016 and 35 sold in 2017. The attached homes are the only stats with a large enough sample to draw a year over year analysis. 26 townhomes sold in 2017 while 25 sold in 2016. The median sales price for townhomes rose approximately 3% over 2016. Single family homes only saw nine sales last year. There is not enough data of single family sales to draw a valid analysis. 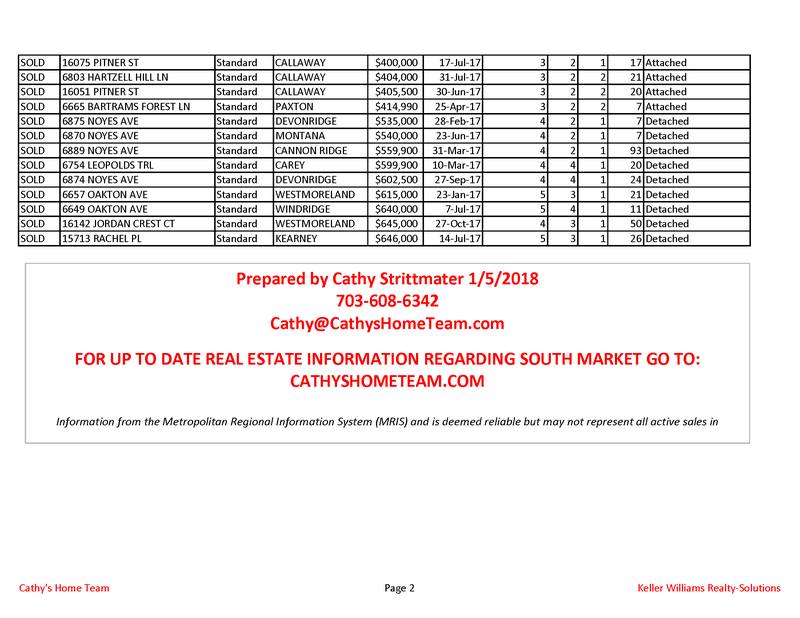 We also only included re-sale home data since not all of the new construction homes sales are inputted in the MLS system. Overall Villages of Piedmont prices are holding steady and volume of sales remains the similar from last year. The attached homes are rising in value!